User Interface and death | Astral Byte Ltd. Sooner or later every player will have to face it… death. But before I can kill off the player without mercy, I need to at least let them know of their health and when they take damage. 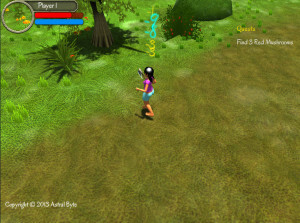 This is the early design of the player window with health and energy. 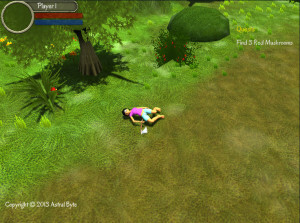 Damage text comes up from the player and fades out. Normal damage is yellow and critical hits are cyan. But what good is damage if you can’t die? But death isn’t the best outcome. 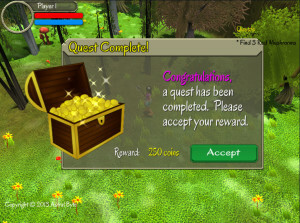 Instead, we want the players to enjoy completing the quest with a reward. As such, I added a quest complete dialog with some particle effects over the gold coins.